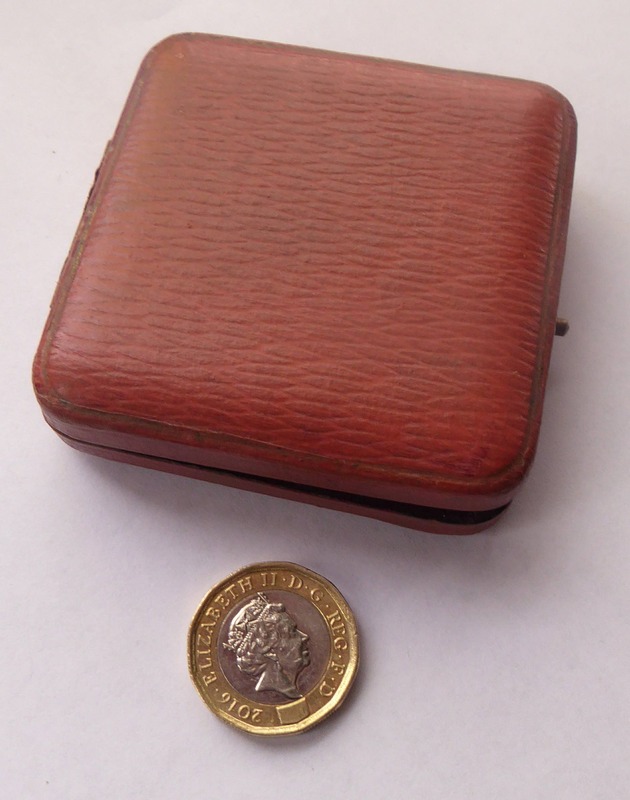 This is a rare survivor from the 1920s. 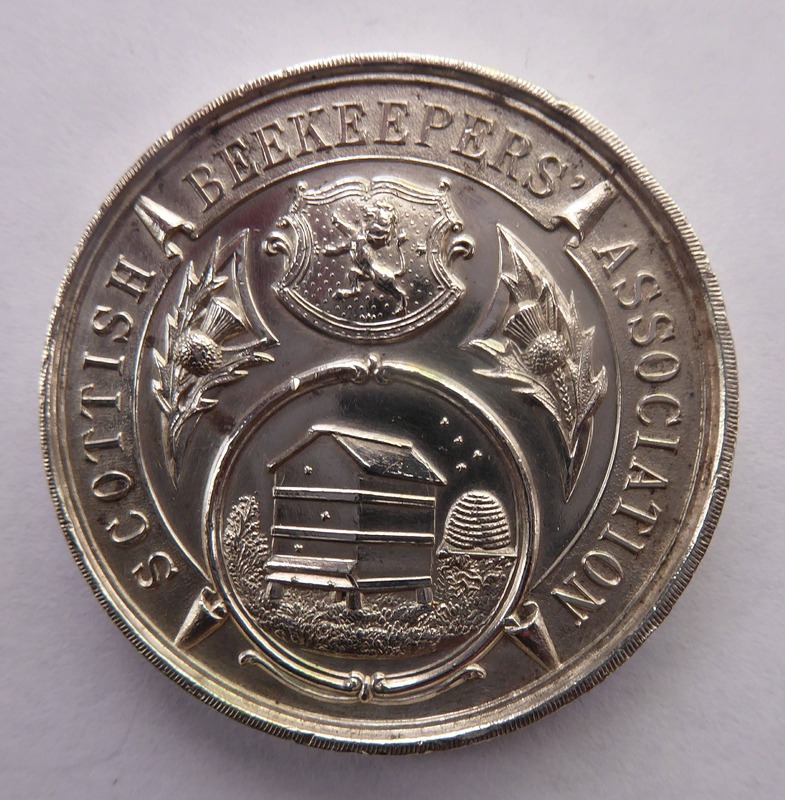 The obverse features the design on medals issued by the Scottish Beekeepers Association who were founded in 1912. The Association promotes honey bee conservation, seeks to improve the standards of beekeeping and promotes honey bee products in Scotland. 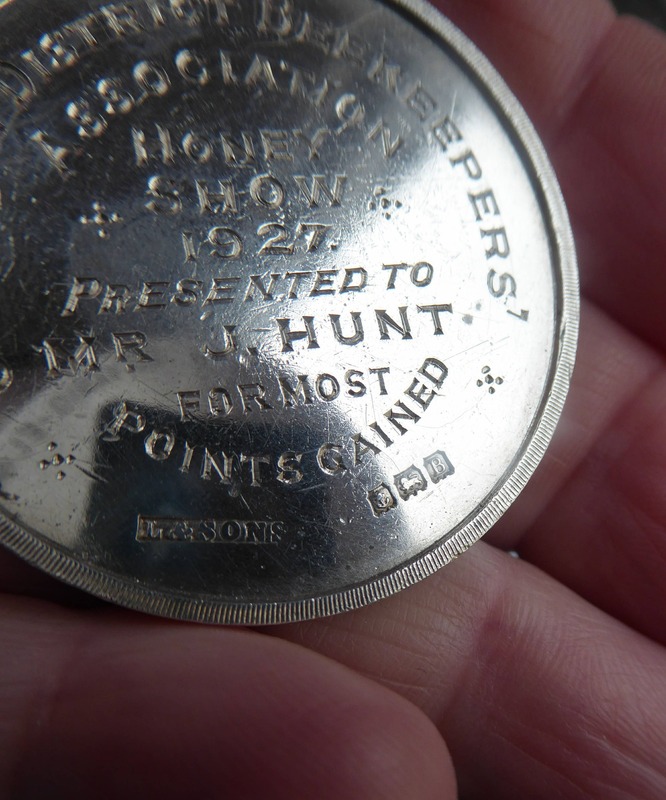 The medal has full presentation details on the back - stating that this medal was awarded to a Mr J. 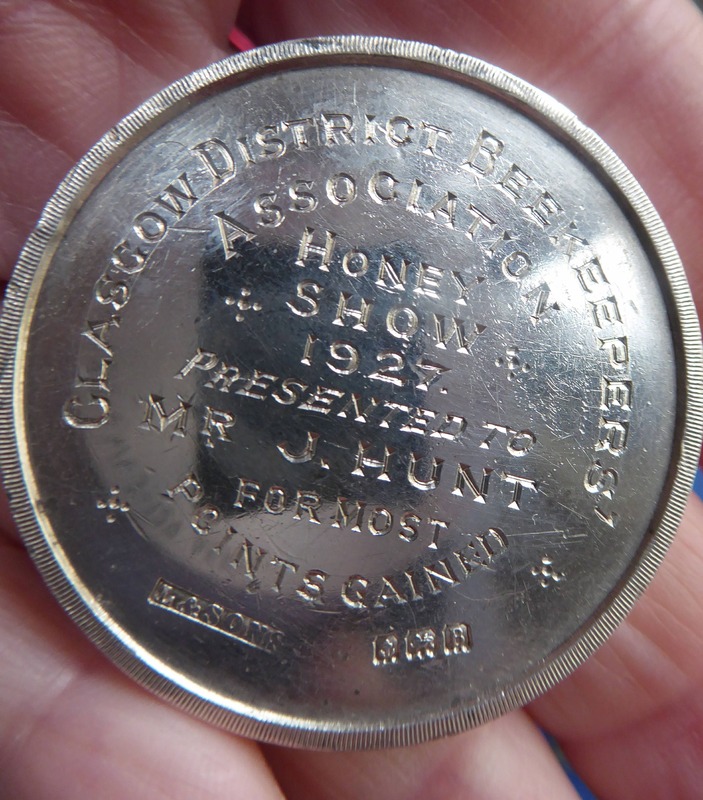 Hunter for the most points gained in the 1927 Honey Show in Glasgow. 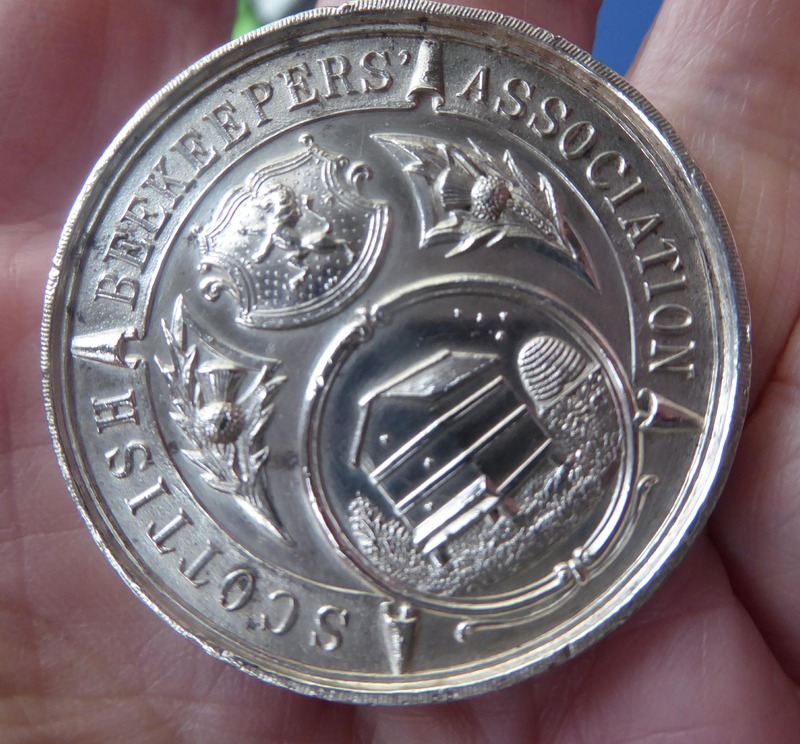 A nice heavy weight to this medal with a diameter of 4 cm. 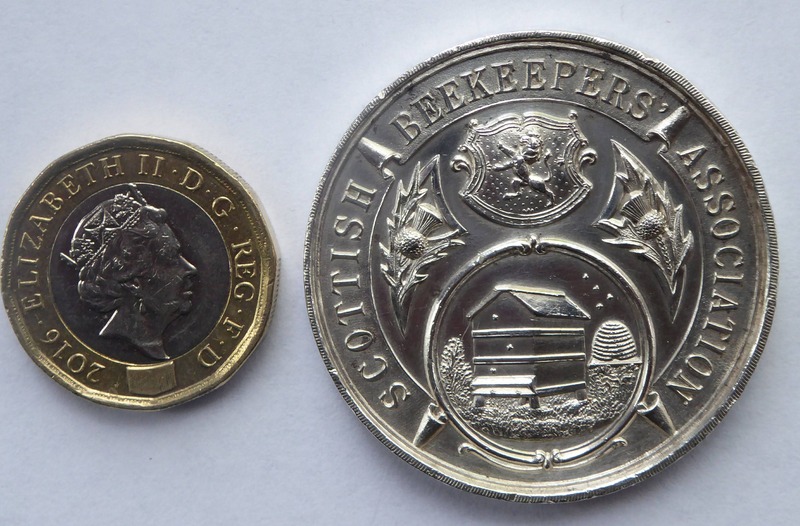 The obverse features an image of a hive, with a pennant with the Scottish Lion Rampant above. There are two thistle heads on each side and the Association name in a band around. 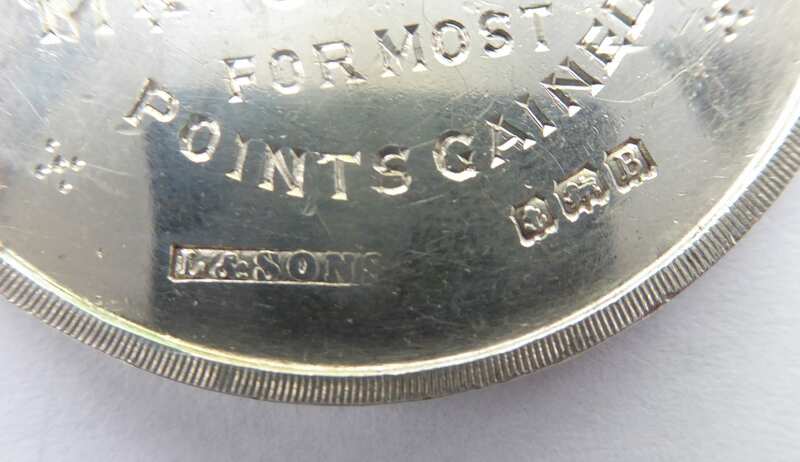 There is a hallmark to the bottom of the reverse for the year 1926. 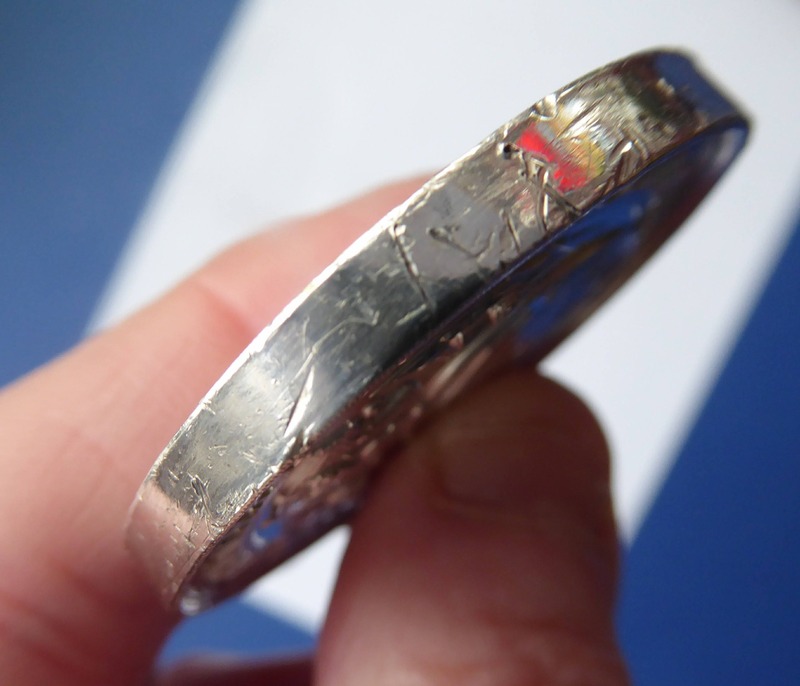 Condition - the medal is in fairly good condition and displays well. 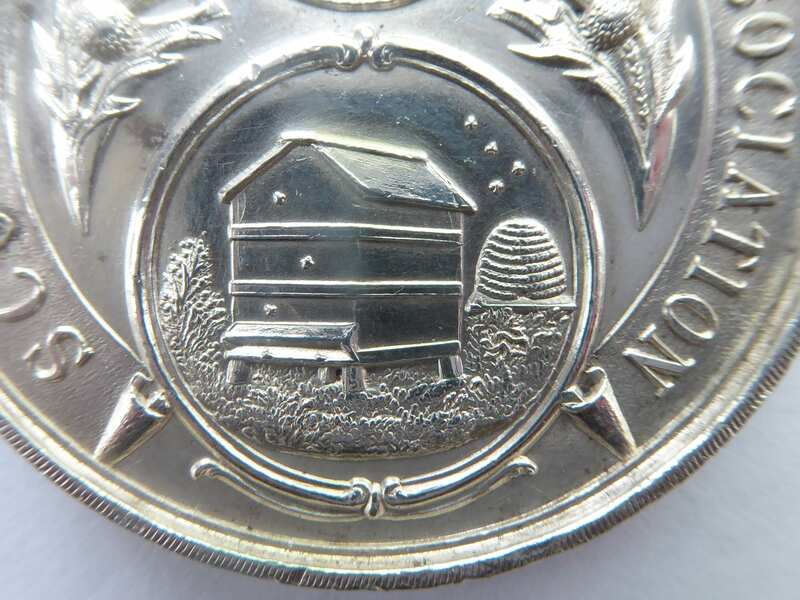 There are no scratches to the images on the obverse. There are some tiny surface scratches to the reverse on the blank areas - but nothing so disfiguring, and as photographed. 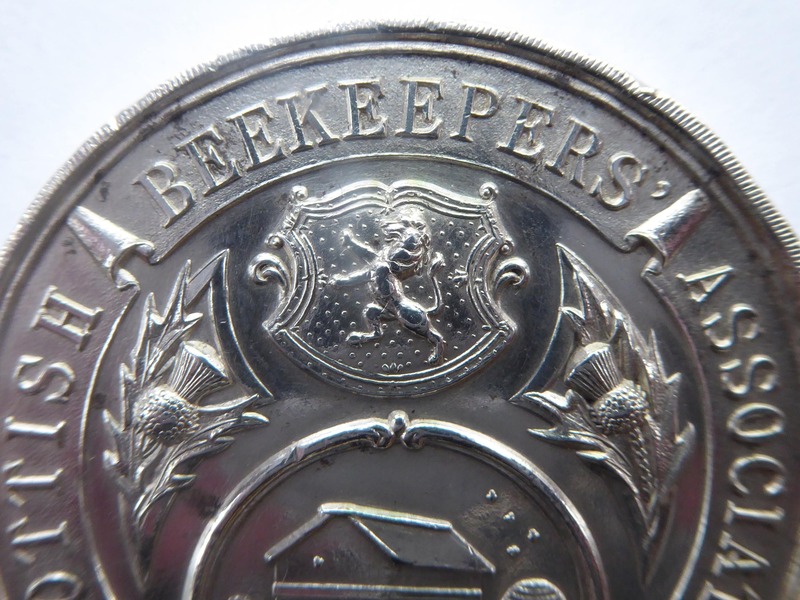 The main issue with the condition of this rare Scottish medal is some little dings and dents to the edge - these look worse on my images than on the actual medal - but sadly these do not allow me to describe this medal as excellent condition.